We are a leading Manufacturer of unified gauges from Mumbai, India. We are leading manufacturer, exporter and trader of Unified Gauges and our product are made up of good quality. These gauges are manufactured by using the superior quality raw material and have unmatched potential to suit the requirements. 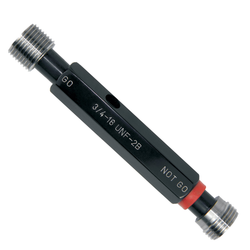 We design and develop Unified Gauges in extensive varieties by using the advance technology. We supply these gauges to our clients in standard form as well as customized form at competitive rates. Looking for Unified Gauges ?